TWO Bundaberg butchers have carved out a tasty reputation for the region after taking out top state awards at the Ekka. Zac's Meats and Barritt's Butchery served up their best entries in the Sausage King State Finals and judges were impressed. 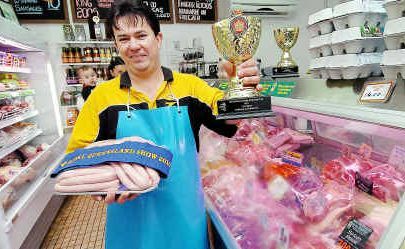 Zac's was awarded first place in the Traditional Australian Pork section for their traditional pork sausages and second place in the Butcher's Choice Competition for their hot pot casserole. Business owner Stephen Austin said he was thrilled with the win. “It was quite exciting,” he said. Mr Austin said he had no tricks up his sleeve when it came to cooking. “There's no secret,” he said. Barritt's Butchery cemented the region's success, winning second place in the Leg Ham on the Bone section and second in the dried meats section for their Italian pancetta. “We're over the moon,” owner Des Barritt said. Biggenden Meatworks owner Peter Gibbs supplies both of the award-winning butchers and said he was thrilled about the wins. “We supply both of the butchers with about 95% of their meats. They demand the best and that's what we give them,” he said. 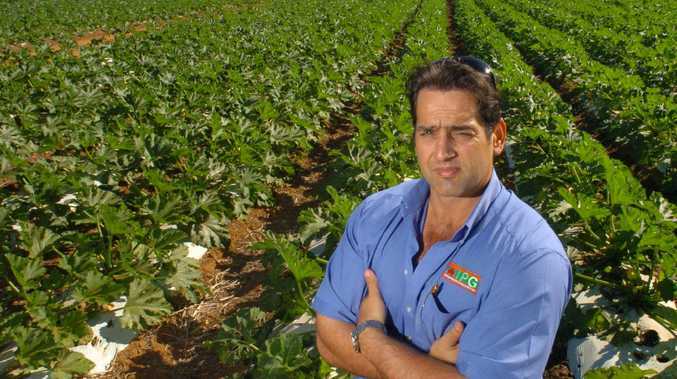 Mr Gibbs said the quality product came down to local produce. “It's all really fresh,” he said.